This easy to use scanner comes already with 300 memories pre programmed by us with receive frequencies of Aircraft Marine, Ham Radio, Two way Walkie Talkies, Car Rally , Milsat pirates etc, saving manually adding frequencies one by one which can take a long time. Normally all scanners come by default with no frequencies in the memory banks. 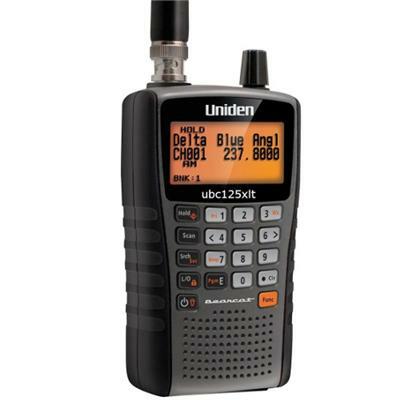 Uniden UBC125XLT is a compact 500 channel handheld scanner, frequency coverage from 25-88MHz, 108-174MHz, 225-512MHz and 806-960MHz with 5/6.25/8.33/10/12.5KHz frequency steps. 1 AC/DC adapter, with EU and UK Plug. Complete with 15 metres coax and connections.